This may be a stupid user error, but there seems to be a secondary color to eyes that cannot be changed? I'm trying to have light grey eyes, but there is a default purple tint that shines through? 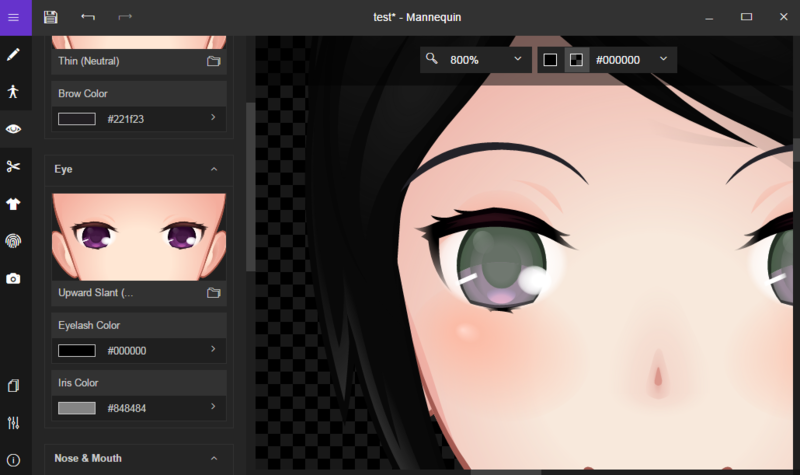 Also, changing the iris color seems to affect also the pupil color. This is problematic with lighter eye colors, as they create an unwanted cataract effect. Maybe instead either always keep the iris black, or have separate color control for it? Ah, please disregard, this seems to be fixed already in the nightly build. :) Leaving these posts here just in case someone else using the demo has similar problem.